Are there any spoilers in the "How spoilerish is the "huge season 2 spoiler!" thread?" thread? Discussion in 'Dynasty 2017' started by Willie Oleson, Jul 7, 2018. I know I started that thread but maybe it's become too dangerous to read? Just avoid any thread that has "spoiler" in the title. There. Problem solved. It's not always that simple, Ked. Sometimes there are even spoilers in the title of a thread that has "spoiler" in the title. 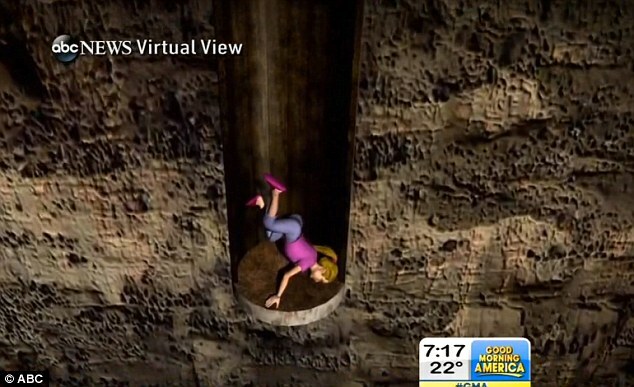 "Spoiler: Melissa falls down a well!!" Are there any spoilers in the ….? Yeah? Well tell that to Melissa! Um, well, I was thinking of the 4 characters in the “How spoilerish is the ‘Spoiler!!! Huge Season 2 Spoiler! Read at Own Risk!! !’ thread’ thread!” that Willie -- who presumably did read the entire thread up to that point at least -- thought weren’t expandable; but Michael Torrance did and said why. Melissa wasn’t one of the 4 (as well you know, Daniel Avery ). If pregnant Melissa is the Melissa who falls down a well, then she wouldn’t be the first Melissa in SoapLand to do so. How copycattish. Wait a minute, are we talking about Melissa Daniels? I sooo did not want to know this! I blame @James from London & his partner-in-crime @Daniel Avery. As you can see, the spoiler photo is quite detailed. You can't fake this stuff. ABC refuses to be lumped in with those 'fake news' outlets. Yes, it looks like they've got you covered. Get me a shovel and I'll make sure Melissa is covered too. Tell that to James, who masterminded Melissa's fateful fall down the well.